Was Jason let go from the SEAL team? 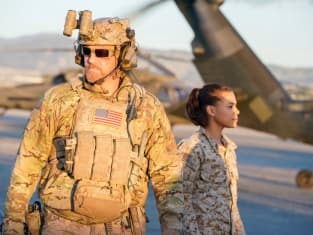 That was the big concern on SEAL Team Season 1 Episode 22 when he lied about the severity of his concussion and was forced to open to go out on the field. With him being disoriented, he struggled to lead the team in the best manner, and it meant that the final battle to avenge Echo Team's deaths could have all been for nothing. Did everyone make it out of the fight alive? Use the video above to watch SEAL Team online right here via TV Fanatic.